Please click here for more details of the full range of Bird Cards available. 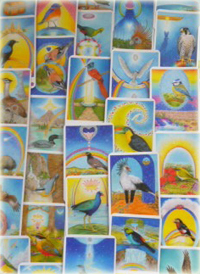 For orders please contact Jane on info@birdcards.net. To order the second set in South Africa, contact Jane on info@birdcards.net. To order the second set (in English) in the Northern Hemisphere, contact Joyce in Holland on joyceart@planet.nl. Both the first and the second set in Dutch (see the Full Range page) are out of print. 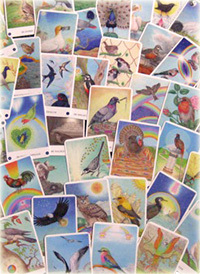 To order prints of any of the Bird Cards (any size), please contact Joyce at joyceart@planet.nl.